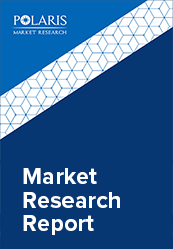 The global solution styrene butadiene rubber (S-SBR) market size was valued at USD 2.8 billion in 2017 and is anticipated to grow at a CAGR of 9.2% during the forecast period. Solution Styrene-Butadiene Rubber is obtained by anionic copolymerization of styrene and butadiene initiated by lithium alkyls in paraffin or cycloaliphatic solvent. Some advantages offered by SSBR include high abrasion, aging resistance, high elasticity, low temperature flexibility, affordability, and resilience. SSBR is majorly used in production of car tires and other related components. Other applications of SSBR include footwear, adhesives, conveyor belts, waterproof materials, and hoses. SSBR is also used in molded rubber goods, belting, toys, and sponge and foamed products. The increasing application in manufacturing of tires, and growing demand for vehicles drive the growth of the Solution Styrene Butadiene Rubber market. Rapid industrialization, rising automobile production, and modernization of industrial machinery further boost the growth of the market. Increasing demand for SSBR in footwear, and rising use in sportswear are factors expected to support Solution Styrene Butadiene Rubber market growth during the forecast period. Growing demand from emerging economies, increasing use in modification of cement and asphalt, technological advancements, and growing adoption of green tires are factors expected to provide numerous growth opportunities in the coming years. The global Solution Styrene Butadiene Rubber market is segmented on the basis of application, and region. On the basis of application, the market is segmented into Automotive Tires, Polymer Modification, Footwear, Adhesives, and others. Automotive tires accounted for the highest market share in 2017 owing to increasing demand for passenger vehicles, and improving living standards. Geographically, the Solution Styrene Butadiene Rubber market is segmented across North America, Europe, Asia-Pacific, Latin America, and MEA. North America is further segmented into U.S., Canada, and Mexico. Europe is divided into Germany, UK, Italy, France, and Rest of Europe. Asia-Pacific is bifurcated into China, India, Japan, and Rest of Asia-Pacific. Asia-Pacific accounted for the largest share in the Global Solution Styrene Butadiene Rubber market in 2017 owing to growing demand for automotive and increasing disposable income. 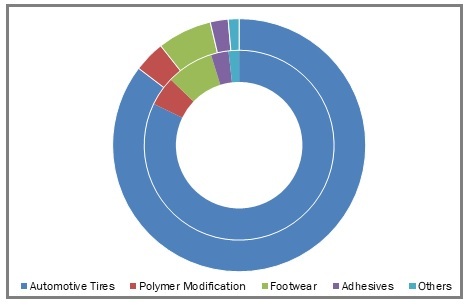 The leading players in the Solution Styrene Butadiene Rubber market market include Bridgestone Corporation, Asahi Kasei Corporation, The Goodyear Tire & Rubber Company, Taiwan Synthetic Rubbers, Dow Chemical Company, Tianjin Lugang Petroleum and Rubber, Dynasol Elastomers, Polimeri Europa, China National Petroleum Corporation, and Trinseo S.A. among others. These leading players in the market are introducing innovative products in the market to cater to the consumers. Global players are entering new markets in developing regions to expand their customer base and strengthen market presence.